K. A. Reynolds is a poet and author from Winnipeg, Canada, currently residing in Maine. 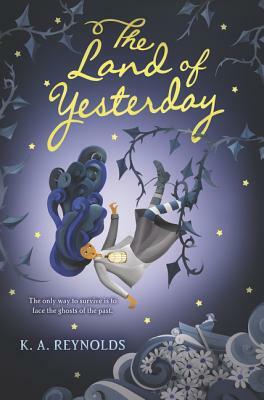 Her debut novel is The Land of Yesterday, followed by The Spinner of Dreams. Her superpowers include risqué Mad Libs, smiling, and saving spiders from certain peril. When not typing, daydreaming, or caring for the elderly, she enjoys swapping bad jokes with her numerous offspring, herding various furry beasts, and reading strange and colorful tales expertly crafted by other imagination astronauts in love with words. Visit her at www.kareynoldsbooks.com.